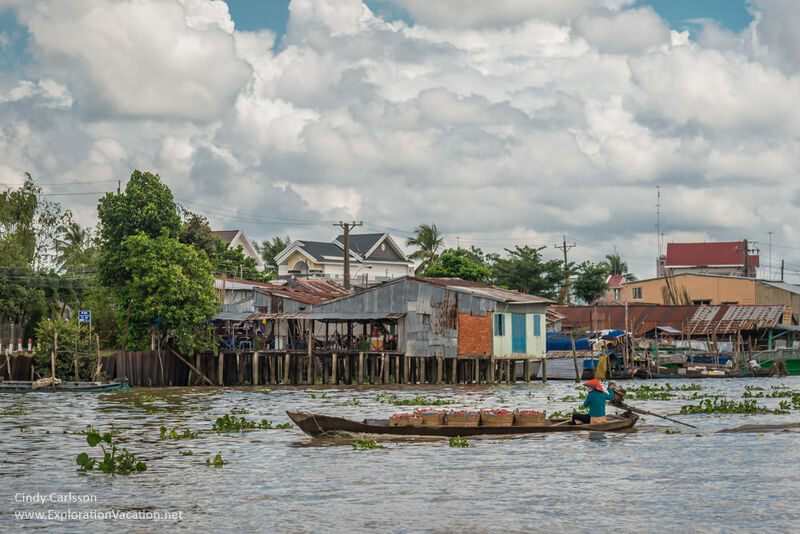 Life on the water is a key feature of the Mekong Delta in southern Vietnam. In order to better understand this watery landscape and the people who live there, I wanted to travel on the water. An overnight river cruise seemed ideal, since it offers a chance to slip into life on and along the water for a bit, even if only as an observer. 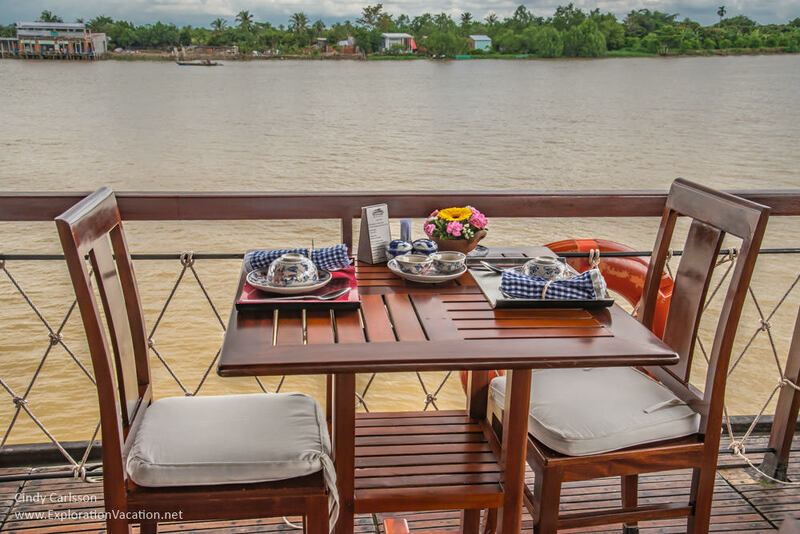 There isn’t a lot of particularly helpful information online for booking a Mekong Delta cruise unless you are interested in a high-end company. Indeed, from the web it seems as if very few companies even offer cruises through the Delta, but the number of cruise ships we saw on the water indicates otherwise. (I suspect most overnight cruises are sold as part of a package tour or through a travel agent.) If you are going to make arrangements on your own, plan to spend more time than you expect just finding and booking your cruise, let alone trying to determine what company offers the best value for your money. I had trouble finding anything in my price range online, so I ended up letting the travel agent I was working with make the cruise arrangements as well. We ended up on the Bassac II, one of three boats owned and operated by Bassac Mekong Cruises. Tourists can travel the Mekong in as little or much luxury as desired. In our case, the Bassac II provided much better than basic accommodations, if not exactly luxurious. The ship was built specifically for cruising in the Delta, so passenger comfort was considered from the beginning. In the hot and humid Mekong Delta this means that all cabins have air conditioning. Cabins were small, but not tiny (there was plenty of space for gear and battery charging) and designed for efficiency. There was just enough space for luggage, as well as a couple of spots suitable for charging cameras and other electronics. The en-suite bathrooms were basic, but clean and more than adequate. With cabin space for 20 passengers, it’s a more intimate cruising style than many people may be used to, but well thought-out public space generally allows everyone a comfortable spot outside their cabin. Meals were served in a covered dining area that provided protection from light rain and harsh sun while allowing guests to watch the scenery. A smaller enclosed area could also be used for meals or gatherings. We began our cruise with a gathering in this space for a presentation on the geography of the delta and this area was also used as the dining room for a small French-speaking travelers. The food served on board was good, with meals featuring slightly internationalized versions of local specialties. Everything was well-prepared and the ingredients were fresh and flavorful. Only a few members of the small crew spoke English, although a number understood basic questions. However, both designated guides/hostesses/tour directors for our mixed English and French language group were fluent in their assigned language. We never had a problem understanding our guide or holding a conversation with her. One-night cruises begin with lunch on the first day and end before lunch on the second day. This is not a lot of time, but it is enough to get a feel for the landscape of the delta and the lives of those who live and work there. The Bassac II runs a regular schedule of cruises between the Cai Be floating market and Can Tho, or vice versa. Our cruise began in Cai Be and ended in Can Tho. The itinerary for the tip was pretty simple, departure, lunch en-route, village visit, sunset happy hour on deck, dinner, overnight on the water near the Tran On floating market, breakfast while cruising through the market, arrival in Cai Rang and transfer to a smaller boat for a tour of the market and a noodle factory before departing at the end of the cruise. The section of the Delta that we traveled was interesting, as it included a few towns, some scattered villages, agricultural areas, industrial sites, and river traffic of all types. It provided a nice cross-section of life along the Mekong. In addition, while there wasn’t much to the Tran On floating market, the Cai Rang market was quite interesting. The village visit was a low-point of the cruise (more on that below) and I wished I had stayed on board to relax, have a drink, and watch the sunset. I’m not sure what happened with the noodle factory tour, except that we weren’t offered one. Start your journey by passing by Cai Be’s floating market, once a busy place to trade fruits and vegetables and nowadays a more quiet market. Then, continue to a cottage factory where ‘pop-rice’, rice paper and coconut candies are made. Return to the boat for the cruise to Dong Hoa Hiep Island; along the way admire the scenery and the daily life of the local villagers. . . . While I’m always up for coconut candies, what really interested me was Dong Hoa Hiep Island, which features a number of “ancient” houses (early to mid-1800s), some of which are open for tours. It looked like a photographer’s dream. Of course, it also gets 100,000 (mostly Vietnamese) visitors a year, so it may not have been as beautiful and bucolic as it sounds. Which leads me back to the village visit. It was not the cruise company’s fault that rain delayed our arrival at the village, but if we had done the tour and fruit tasting and kept moving, we could have seen the village and rice fields while there was daylight and before the evening rain. Instead our guide dawdled forever at the fruit tasting, ensuring we would finish our tour after dark in a downpour. Regardless of the way the tour was handled, I have very mixed feelings about the village visit itself. It is a pretty small settlement and really not that interesting if you’ve ever visited an Asian village before (it is a pretty generic village, although a few of the buildings have traditional architectural elements), but it is a good thing for visitors to see if they haven’t traveled outside the main cities before. Apparently the village is also in a lovely setting, with open fields along one side, but we didn’t get to see that while it was still light. The sustainable traveler in me is thrilled that Bassac (a small, locally owned and operated company) is making an effort to bring tourist dollars to villages that ordinarily would not get them, but there wasn’t a lot to see at this village and we didn’t get to talk to any of the villagers (although that might have been due to our late arrival). It would be a much better excursion if the fruit tasting included conversation with a villager (with our guide as translator) about their life. A musical performance or a craft demonstration of some sort would be another option. This isn’t impossible – it’s common in places like Fiji where villages develop tourist programs to help them successfully compete for tourist visits. Bassac could work with villages to make these stops more engaging for visitors and provide a small, but steady, stream of income for the villages. Everyone would win. In the end, while I really appreciate the value of bringing small numbers of tourists to these smaller villages, I would have liked a more culturally interesting and engaging experience. Is a Mekong Cruise worth your time? I loved being on the water (despite the weather and less-than-optimal shore excursion) and wished the cruise had been a day or two longer. Unfortunately, the only multi-day trips seem to go to Phnom Penh, Cambodia, which didn’t fit into my itinerary this time. Unless you are traveling the Mekong as part of a tour that includes Phnom Penh, a 24-hour itinerary appears to be the only overnight option in Vietnam unless you charter a boat. (Several companies, including Bassac, have boats the right size for a small group, so a private cruise is an option if traveling with family or friends.) However, even just 24 hours on the water provides a nice glimpse of life in the Mekong Delta. Despite the availability of cruises, the most common way to visit the Mekong Delta seems to be as a day trip from Saigon. These appear to be hurried affairs that arrive too late for the floating markets and spend little time on the water. I think it would be hard to get a feel for the pace of life in the Delta on one of these tours, and that change in pace is one of the things that sets the delta apart from Vietnam’s fast-moving cities. If you can find the time, consider slowing down for a bit on a Mekong Delta cruise. 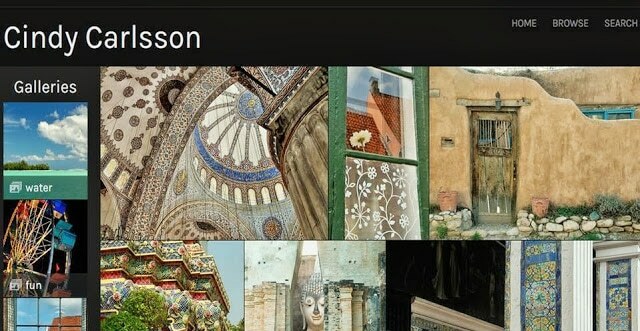 It’s a great way to glimpse of a way of life that is rapidly disappearing.